DARPA announces another (crazy) project, Apple Watch sales reach a million sold, and Google continues its war against the password. 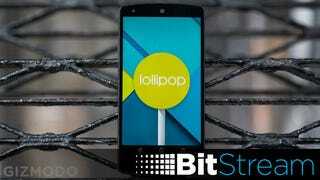 All the news and rumors you missed, all on BitStream. Clearly, Google isn’t super confident that voice passwords can stand up to older methods. For example, it can’t quite distinguish between similar voices or even a recording of your voice, but unless you’re fearing spy-level sleuthing from your nosy friends or significant other, Trusted Voice will probably do the trick. Or hell, turn ‘em all on. Why not? Enjoy the rest of your day. Here’s a pug on a sled.